Native Instruments has updated Reaktor Blocks to v.1.2 (Blocks is modular Eurorack-style extension for Reaktor 6). New update brings integration of Blocks into Eurorack (or other modular format) setup. NI also introduced couple of new blocks available via Reaktor User Library: Maschine sequencer and NIJI Drums (set of modules that emulate classic drum machine sounds). First new block is Pitch CV out which is converting Pitch into CV signal that can be sent into Audio output via DC coupled interface and also the block has calibration feature. There are several options how to get this signal from Reaktor into Eurorack: DC-Coupled audio interface (ex.MOTU), Specialized Eurorack Module – ex. Expert Sleepers ES-3 or one of the Roland AIRA modular devices that work as audio interface when connected to USB port of the computer – so you can use their outputs to transmit CV signal from Reaktor to Eurorack. Second block – MIDI out is converting Reaktor internal CV signals + Pitch and Gate into MIDI Pitch, Gate and CC messages. With MIDI out you can send pitch, gate and CC messages to any MIDI to CV, USB/MIDI/CV device to get that signal as Eurorack CV. Our favorite in this department is Endorfin.es Shuttle Control. This Eurorack module has 16 configurable MIDI to CV outputs and supports Eurorack pitch format (1v/oct) as well as Buchla format (1.2v/oct). Also NI released two new blocks (one block and one block set) via Reaktor User Library. Those are Maschine Sequencer – drum sequencer with 8 gate-outs easy controlled via MIDI Maschine template. 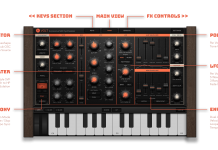 For now the MIDI template was released for MKII only (where’s Maschine Studio support?). But MIDI template uses CC messages so it should be easy to configure similar MIDI template for Maschine Studio, Maschine Mikro and even other MIDI conrtollers. 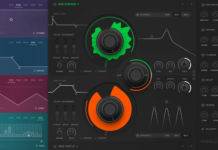 Release of Blocks 1.2 opens whole new world of new blocks for various midi controllers – it should be really cool – I can’t wait what amazing Reaktor community will release in the next weeks. Another addition NIJI DRUMS is set of 8 blocks emulating classic drum machine sounds. 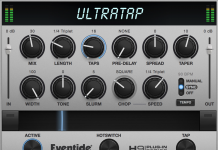 8 drum sounds would play nicely with new Maschine template.